Takeaway: When meditating, it helps to see your mind as a TV show. This helps you step back from the thoughts, feelings, and perceptions that pass through your awareness. Estimated Reading Time: 2 minutes, 42s. Over these past few weeks, I’ve been writing quite a bit about mindfulness. In a world that’s always changing, we’ve never needed mindfulness and meditation more. Both practices let us stay calm and present as things change. This week, I’d like to offer up a simple suggestion for how to meditate. I’ve written a lot about the topic in the past—including this guide that has everything you need to get started—but here’s another suggestion that has helped me quite a bit. 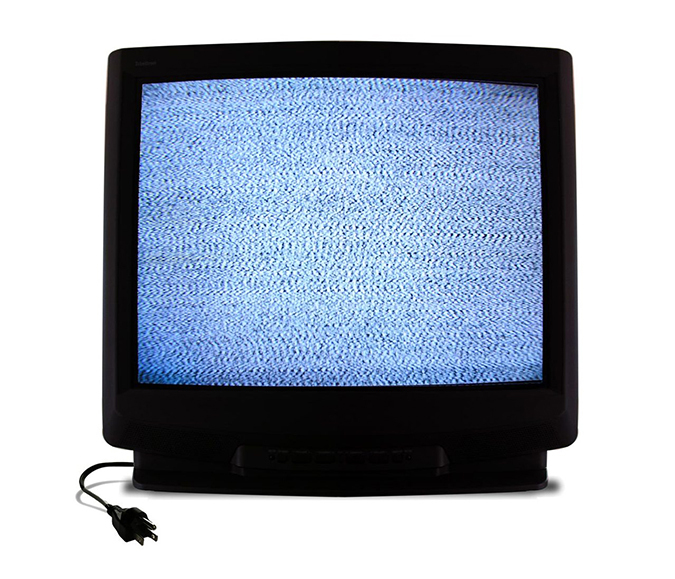 When you meditate, it’s helpful to think of your mind as a TV. When you sit down to meditate, there are three things your attention will bounce between: thoughts, feeling, and perceptions. It will go from thinking about what you’ll have for dinner, to how bored, restless, or blissful you’re feeling, to how your leg is becoming numb—all over the span of a minute. It’s actually pretty remarkable how quickly our mind shifts between these three contexts. The reason meditation is so tough is that it’s incredibly easy to get caught up in what we’re thinking, feeling, and perceiving. Instead of seeing a wave of boredom that passes over us as a fleeting feeling, which it is, we identify as someone who is bored—boredom becomes something we are, rather than something temporary that we’re experiencing. Or maybe we’re in the process of losing weight, and we start to think about how bloated we are after eating an entire medium pizza last night—but fat isn’t something we are, it’s something we temporarily have. Every single thought, feeling, and perception that passes through our mind is temporary, and leaves our mind as quick as it came. Meditation is the process of stepping back and noticing the contents of your attention as they change over time. The practice is so simple on the surface—all you have to do is notice these things!—but in practice, meditation is one of the most difficult things in the world. We’ve spent our entire life, up until when we begin meditating, caught up in what we’re thinking, feeling, and experiencing. It’s hard to step back. Whether you’re just starting out with a meditation practice, or you’ve had one for years, it’s helpful to see the thoughts in your head as a TV. Instead of getting caught up in and immersed in them, just step back from the TV set and watch them pass—watch your mind flick through the channels. In meditation, you start with the simple intention to observe just one thing—usually your breath—but that intention so often gets derailed by our thoughts, feelings, and perceptions. When you get caught up in anything that’s not your breath—you get immersed in a show—or you notice that your mind is flicking through the channels again, turn your attention away from the TV and focus again on your breath. On a related note, it can also be helpful to see what’s airing in your mind as an alternative to watching an actual TV show. Instead of watching a rerun of Seinfeld a half hour, set a timer for the same amount of time, and watch your mind instead, as you make an effort to refocus on your breath. What’s going on in your mind might be just as entertaining.